First of all, I really want to thank everyone who read, shared and discussed my last blog post My first year as an agented writer and to welcome all new readers to the Literary Sofa. The response was absolutely overwhelming both in size (2,000 hits in a few days!) and impact. I cried and so did some of you. I felt this topic needs to be talked about openly – you agreed. My article sparked an interesting and worthwhile discussion here and elsewhere; it was great to hear from writers sharing their own thoughts and experiences and those who told me they felt uplifted – I know I did. Finally, special thanks to the many people who expressed an interest in reading my books – there could be no better motivation! 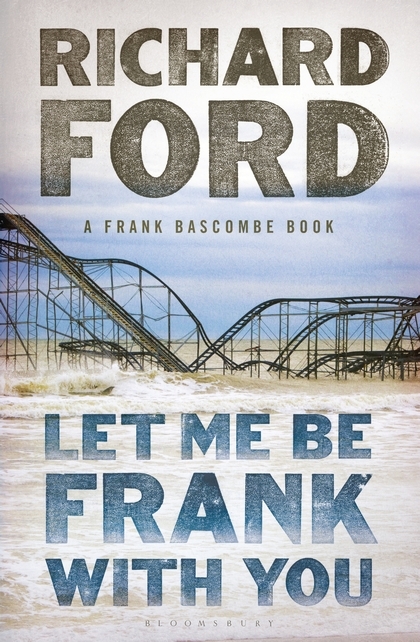 Continuing in the spirit of plain speaking, here’s my review of Let me be Frank with you, the new release from Richard Ford and a unexpected addition to the Frank Bascombe trilogy, albeit not in novel form. The first of these novels The Sportswriter (1986) brought me and millions of readers to Ford’s work and to lay my cards on the table, he is probably the author I most admire. The second Independence Day (1995) was awarded the Pulitzer Prize and the PEN/Faulkner Award for Fiction, the first novel to win both and the ‘final’ one (as Ford declared it to be), Lay of the Land, followed in 2006. His most recent novel, a standalone, was the critically acclaimed Canada (2012) which may colour some readers’ response to the new release as I suspect it did mine. So, we hadn’t heard the last of Frank Bascombe, who in his various incarnations (novelist, sportswriter, real estate agent, husband, father, regular guy) has captured the spirit of the American times through which he has lived and the hearts of readers to whom he feels incredibly real: flawed, damaged, funny, philosophical – a good man, mostly. Like his creator (some say alter ego), Frank is a keen observer of life’s absurdity and vicissitudes and never more so than in his latest offering. In Let me be Frank with you, Frank is 68, retired and inevitably, staring some new issues in the face. No stranger to loss and adversity, ageing and death are now at the forefront of his mind and this book. The backdrop to these four interlinked long short stories (220 pages) is the aftermath of Hurricane Sandy in the subdued run-up to Christmas 2012. It is set in New Jersey, which suffered terrible devastation and since I was in Brooklyn during the hurricane, this definitely gave the book an additional layer of interest. It’s sometimes thought that nobody dares to edit ‘big authors’ but in this superb interview with Terry Gross for NPR’s Fresh Air (with written highlights) Richard Ford wisely reveals that the cheesy title was not his choice. His original one, Hilarity, whilst heavy on the irony, would have been far better – there’s plenty of Frank’s trademark warmth and wit here to lighten the atmosphere but it’s more clever than corny. I don’t look in the mirror anymore. It’s cheaper than surgery. The shorter an individual piece of fiction, the greater the risk of robbing it of what makes it work. So instead of going into detail about the four stories I am concentrating on how the book functions as a whole. In addition to the above themes, the set-up they have in common is that of an encounter, each very different: scheduled or unexpected, with a stranger, a former client, his ex-wife, a dying friend. This proves fertile territory for the typically Frank/Fordian pithy reflection on the human condition which when less well done is best not done at all. I read most of this on a train journey and it was slow going but only because I kept staring into space, thinking. This pair have an established ability to reach out and touch the reader that way. Some people really are what they seem to be – though not that many. Frank’s take on such matters as the Obama administration, American attitudes to ageing/death and the human cost of military engagement bring this not bang up to date, but as good as. I found the parts about what continues to bind ex-spouses and the meaning of divorce particularly interesting, and also the challenges of dealing with adult children. Life’s better when not spent dismally alone. 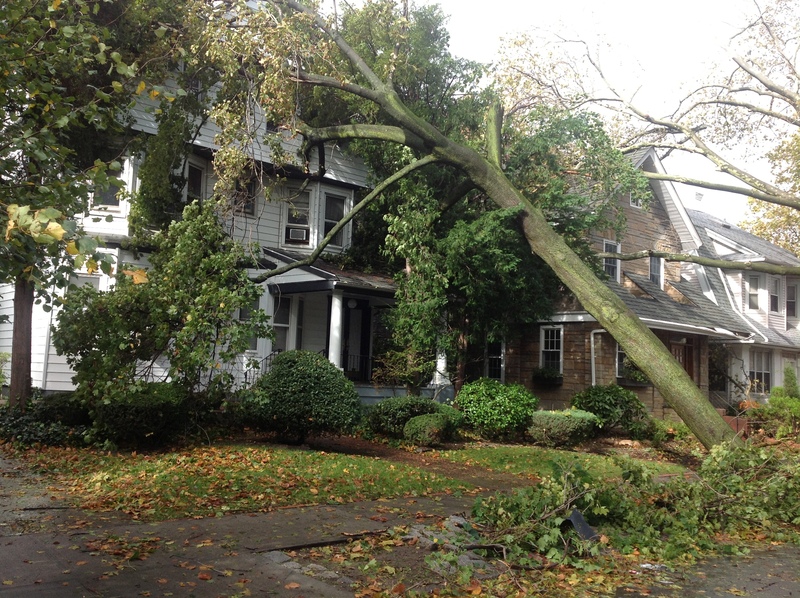 Another longtime preoccupation of Frank’s as a former realtor, that of the home and what it signifies in physical and emotional terms, is explored in the context of the hurricane and the different kinds of vulnerability exposed by natural disaster. For all its merits, I was left with a sense that this ‘Frank Bascombe Book’ (to quote the cover) can’t quite decide what it’s trying to be. The four stories have not been published individually and yet things the reader already knows are frequently repeated, which becomes tiresome. To be clear, I don’t mean events of Frank’s past such as his divorce or the death many years ago of his young son Ralph, which never loses its poignancy no matter how often it’s mentioned – these naturally recur as they are part of who he is. But simple facts like his volunteering as a greeter to returning veterans at Newark Airport really don’t benefit from coming up again and again. Conversely, the links between the end of one story and the start of the next work well, but unfortunately these and other subtle echoes highlight potential for narrative depth and cohesion which cannot be fully exploited in this format. It is debatable whether it’s meaningful to speculate that a work of fiction could have been executed differently, but for me this would have worked better as a fourth novel rather than a work in which the counter is reset every quarter. But when all’s said and done, it’s still Frank. It’s still Richard Ford. And it’s always a pleasure. If you’d like to read my story Half of Everything set in Brooklyn during Hurricane Sandy, it is included in the Stories for Homes Anthology in aid of SHELTER – it’s a fantastic selection I’m very proud to be part of and the issues Shelter are working to combat are just as pressing as when it was released almost a year ago – do take a look if you haven’t already! I saw Richard Ford speak at Cheltenham Literature Festival this year. He’s a great speaker, and a writer I also admire immensely. I picked up a copy of Let Me Be Frank With You at the festival, hoping to love it, as I love Canada, Wildlife and Women with Men. I hadn’t read any of the Frank Bascombe novels and unfortunately after reading this one, I’m not sure I will. I have a copy of Let Me Be Frank and will be reading it soon . I did wonder how longish short stories might stand up to the earlier novels however there’s something quite touching about an author who can’t quite let go of a character …..a bit like Updike and Rabbit. I have my copy of Let Me Be Frank With You in my hot little hands so, at least for the time being, I’ll avoid reading this particular blog entry until I’ve had a chance to finish the book. Thanks again Isabel!